“I, the staff and Board of Directors of Saint Luke Institute congratulate Bishop Kevin J. Farrell, a member of our Board, on his appointment as prefect of the Laity, Family and Life Dicastery at the Vatican. “During this Year of Mercy, Pope Francis has chosen a wise shepherd whose deep faith, leadership skills and pastoral concern for the faithful will be of great service to the Universal Church. 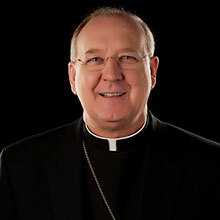 Bishop Farrell, has been serving as Bishop of Dallas. Prior to that appointment he was a priest and auxiliary bishop for the Archdiocese of Washington. Saint Luke Institute (www.sli.org) is an international treatment and education center serving Catholic clergy and consecrated religious. Based in Silver Spring, Maryland, Saint Luke has affiliated programs in Baltimore, Md. ; Louisville, Ky.; Saint Louis, Mo. ; and Manchester, England.